Wide Calf Boots: Where To Find Them! Where to Find Plus Size Swimwear! So You Want to Be a Plus Size Model? Model Agent, Alex Boos Shares a Few Tips! Top 10 Brands the Big & Tall Man in Your Life Would Love! All of the Must Have Pieces from the Spring 19 GabiFresh x Playful Promises Collection! Igigi is Back! Yuliya Raquel Returns to IGIGI! Because You Need Few Dresses… Here’s A Few Spring Plus Size Dress Options from Fashion to Figure! Ask TCF! What are the Best Photos for Plus Size Online Dating? Around Atlanta: Simple by Tracy Debuts New Collection and Includes Plus Sizes! Celebrate GIVING TUESDAY with A Thick Girl’s Closet by Helping the Homeless! It’s National Stress Day! So, Wash Off Your Stress at Home! Plus Size YouTuber Loey Lane Launches New Body Positive Body Care Brand, Love AnyBody! A New Year and 3 Steps to a Bolder You! Where You Can Find Really Cute and Functional Plus Size ActiveWear! Plus Size Art: Get to Know the Work and Plus Size Illustrations of Shelby Bergen! Did you Hear? Japan’s Production of Hairspray to feature plus size star, Naomi Watanabe! Watch the Avenger’s Endgame in Style with Torrid’s Avengers Collection! Looking for more inspiration? 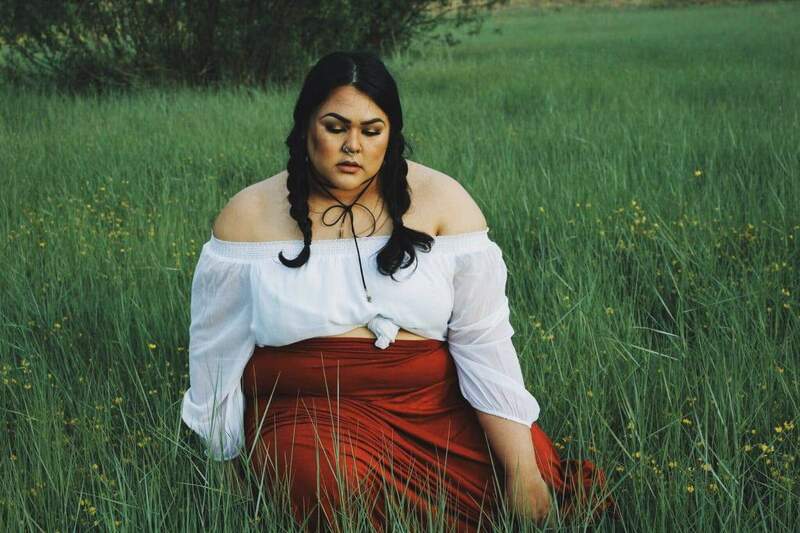 We are back with another plus size blogger spotlight and we head to Sacramento to chat with blogger, shameless Cr3ature! Happy New Year and welcome to the first blogger spotlight of 2017! 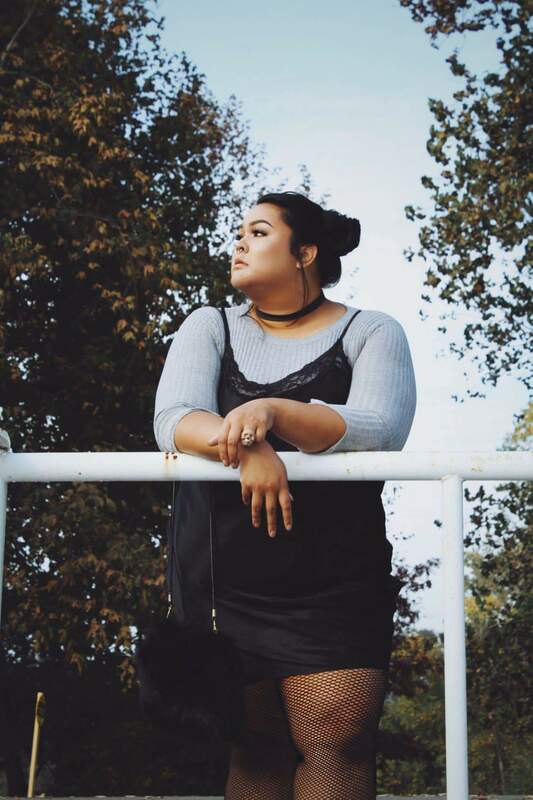 Last week, we featured the breakout plus size bloggers of 2016 and today, we are featuring the fearless fashionista Natalie of Shameless Cr3ature! Does she sound familiar? That’s because we just recognized her as one of those breakout blogging stars of 2016! Well, Natalie is also one to watch in 2017. Her body positive attitude and creative style is so inspiring. Take a peek – Natalie is a plus size blogger YOU NEED TO KNOW!! 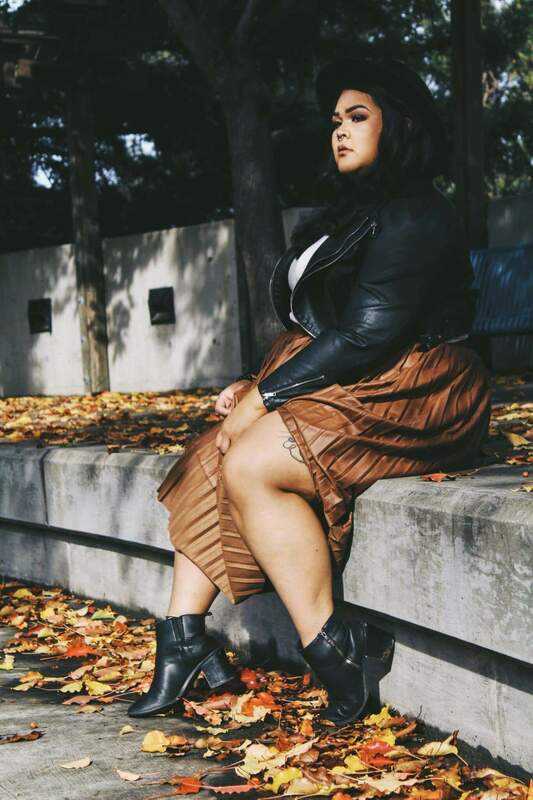 Meet Plus Size Style Blogger, Natalie of Shameless Cr3ature! How long have you been blogging? I’ve been blogging since the summer of 2015! I think I really got a good handle on it and became serious about it in 2016. What or who inspired you to become a fashion blogger? What led you to it? I’ve always been drawn to online personalities rather than celebrities. When Instagram came along and birthed the whole movement of Instagram modeling and Instagram blogging it really interested me. I followed lots of straight sized women who were suddenly given a platform to express their individuality. It was amazing and I wanted in! 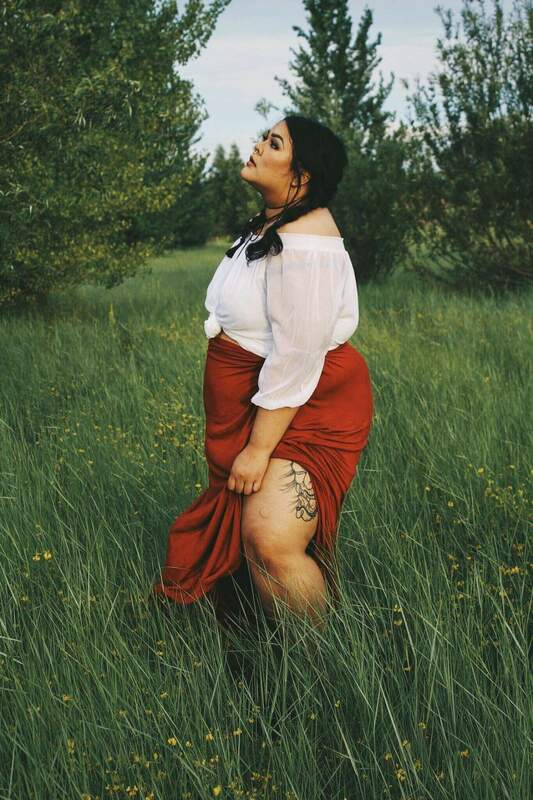 I started looking into plus size blogs and found a pretty amazing plethora of beautiful confident women showing their style. So, I called a friend asked if they could take some pictures for me and the rest kind of fell into place. Do you blog full-time, for fun, as a hobby? Share your evolution! It started as a nice hobby, you know? Take a few pictures over the weekend and make some posts every now and then. Recently it’s been much less casual. I have become very proud of the content I create and want to keep creating even better content that is consistent. As fun as it still is, when I collaborate with people I believe they deserve to have the best content meaning that I work very hard to produce it. Most people haven’t seen plus size women do editorial style modeling and they make assumptions about the limits that exist in fashion photography. Photos are my absolute favorite part of blogging I feel like plus size women are not given the chance to feel like they can be couture or high fashion. What is your favorite asset? Your legs, arms, waist? How do you play that up? So, this is hard because I really love every inch of me! My legs make me really happy, I love to wear skirts and tighter fitting jeans. If I had to choose, my favorite part of me would be my face. I don’t have a particularly small or thin face but I love every centimeter. When I was younger, it would always kind of bug me that even though there were plus size models out there, they all had very thin faces. I love representing my round face, chubby cheeks, and double chin! Fashion is one of my biggest passions but I think playing with makeup is a great way to play up a look. What are the challenges, if any, you face regarding being plus size? One of the biggest challenges in the plus size world are boundaries. One of my biggest goals is to help break though those boundaries when it comes to style. I’d love to see more plus size women given the opportunities the straight sized women are. I’ve always felt as if there was a blockade when it came to plus size bloggers. I felt as if we could not advance unless we were some sort of exception. What’s your favorite thing about being plus size? I think it’s the freedom. Being plus size can be hard for obvious reasons but when you truly begin to love yourself it becomes the most freeing thing in the world. I love that when I put on a skirt or a tight fitting dress, I don’t sit in the mirror and think “Will people think I’m fat?” I know they will and I hope they do, I have no shame in who I am and no one should regardless of their size. Being plus size has taught me to love more, work harder, and to be shameless. What’s your favorite thing about being a blogger? Hands down, it’s the people! My favorite thing about blogging is that I’m easily accessible. I love getting messages asking for advice or inspiration. I live for making new friends and meeting different people. I’d love to one day be able to throw a blogger brunch and meet more plus size women who are like minded. It’s amazing to see all the connections that are made over fashion! Who/what are your favorite designers/brands? I always look for Miu Miu, Vivienne Westwood, and Alexander McQueen on the runway. Those brands are huge inspirations to my personal style. When I’m shopping, I love Alice & You, Elvi, ASOS, and recently River Island. My personal style is ever changing. I’ve been called an aesthetic queen before. I love the idea of a look. When I get dressed, I try to build a personality rather than an outfit. I want someone to look at me and see a story rather than just a cute top and shorts. I can go from punk to Kawaii princess. I feel as though my personal style has completely reared its head on my blog. I promised myself this year that I would show my true colors a little more, so watch out for some funky stuff! Which bloggers inspire you? Plus or straight size! Any bloggers currently on your radar? The blogger who really inspired me to start blogging was actually straight size blogger @ellenvlora. She is still one of my favorite bloggers. I’ve followed her for a while and watched her career grow. She constantly inspires me to grow and keep pushing to get the opportunities that she has. I love @daniellevanier. She is someone I really look up to as a plus sized woman. I have also followed her for a very long time. She is a sweet beautiful soul, and her fashion is other-worldly. What do you think about where plus size fashion is today versus a few years back? Although we aren’t where I want us to be with plus size fashion, we have come a very long way. I remember trends would be out of style by the time they were even accessible. I think a lot of companies still see plus size women as conservative or less experimental with their style. I love being able to see the pieces you see in magazines available in my size. I also love that more major retailers have opened plus sized options for men and women! This year I was chosen as a brand ambassador for Charlotte Russe. Not only was I proud of the company for promoting women of all sizes, I loved that their sizes run larger than 3x! What do you think or hear from readers, is one of the biggest myths about plus size fashion? I think the biggest myth about plus size fashion is that it’s any different from any other type of fashion. The label “plus size” tends to create stigma and although we wear large sizes, there is nothing different about our community. Plus size women and men are just as fashion forward and have the same love and passion for clothing as anyone else. Are you working on anything or have anything to share? Anything else you want The Curvy Fashionista’s readers to know? I’ve been on and off YouTube this year, and I’ve been working hard to set a schedule for regular vlogs. I love the idea of vlogging, and I want to show my followers more of who I am. I really would love to tighten up loose ends with my blog and create more content. I’m excited for what 2017 has to offer because I have lots to show. Lastly, what does Curvy.Confident.Chic mean to you? Curvy confident chic means to me as a plus size women that I am comfortable in my own skin and free to be the person I want to be. It’s a state of mind and a way of being. I can be truly happy knowing I am all those things. Be sure to check out Natalie’s blog at www.ShamelessCr3ature.com!!! Do you dig her style? Which look is your fave? Let’s talk about it below!! Are you a plus size personal style blogger? Want to be featured? Make sure you fill out your deets here, so that we can feature you! Looking for more inspiration? Make sure you check out all of the other plus size blogger spotlights! Must Watch: The Canadian Version of “Things Plus Girls Can’t Do” and It’s Cute! Love Color? Check Out these 12 Must Haves in the Pantone Color of the Year: Greenery! Love this! Great post. Makes me want to get serious about my blog!!!!! Happy TCFTurns10! We’re Hooking 10 of Y’all Up with a Dia & Co Giveaway! [Video] We Get Winter Ready with our Group Stitch Fix Unboxing! She’s Got the Look! 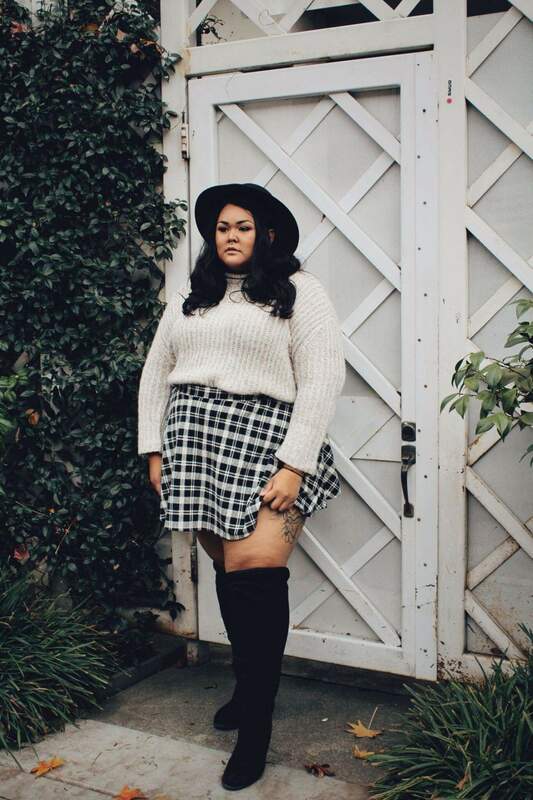 Here are 20 Plus Size Fall Outfit Inspirations to Rock! Copyright © 2019 TCFStyle Media.